All those A Level and F.Sc. students who want to be the part of Executive Council of SMAMUN should submit a personal statement to relevant coordinator till tomorrow (25th April 2013) before 9:00 am. It should contain the explanation that why you think that you are fit for the said position. Tomorrow (25th April 2013), you should be present in front of Conference Room at 10:00 am for interview. Those students, who cannot come tomorrow due to any valid reason, inform to the relevant coordinator till tomorrow (25th April 2013) before 9:00 am however, personal statement should be submitted as per schedule. Welcome, one and all, to this year’s Saint Mary’s Model United Nations! Promising to be another masterpiece by the incredibly talented and brilliant students of SMA, it’s an event you would not want to miss. So come on down to our beautifully scenic campus for the debating event of the year! Saint Mary’s Academy Model United Nations (SMAMUN) is a prestigious, non- profit union headed by the student body at Saint Mary’s Academy, anticipating the highest quality of debate, endowing the participants with an insight on the workings of the United Nations (UN) and providing a chance to forge life-long associations and interact socially. Ever since its inception in 2005, SMAMUN has the status of the being the second most successful Model United Nation organization in Pakistan, next to the leading Lahore University of Management Sciences Model United Nations (LUMUN). 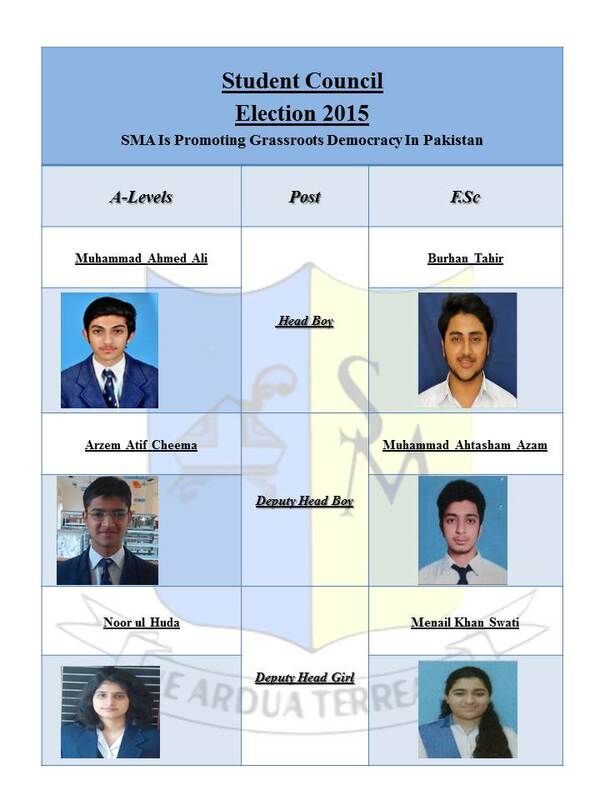 First ever school level MUN in Pakistan. Second ever MUN in Pakistan( after LUMUN).